In my opinion, ghee tastes better than butter and is a great substitute in baking if you want to avoid dairy. It is possible to find ghee in some stores, but I have found that making my own is easier and tastes better! 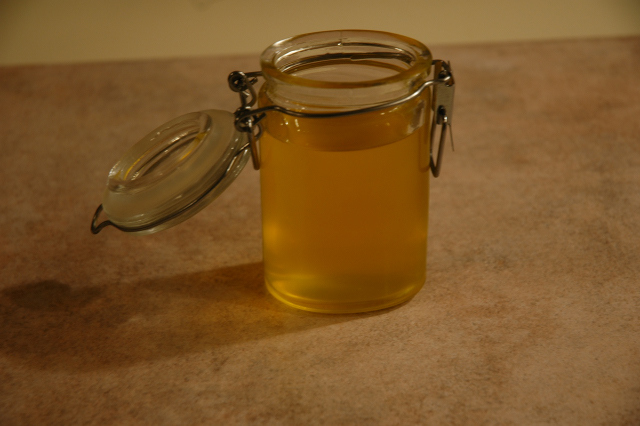 So, here is my recipe for homemade ghee, complete with photos! 1. Melt butter in a saucepan at medium heat. 2. Once the butter is melted, turn the heat down to between low and medium. Leave it at this heat uncovered and undisturbed. It is fine if the butter boils! 4. About 25-30 minutes after the butter boiling, the foam will dissipate, the noises have quieted, and the ghee smells like hot popcorn. The milk solids at the bottom will be golden coloured and the ghee will be clear. These are all signs that the ghee is done! 5. 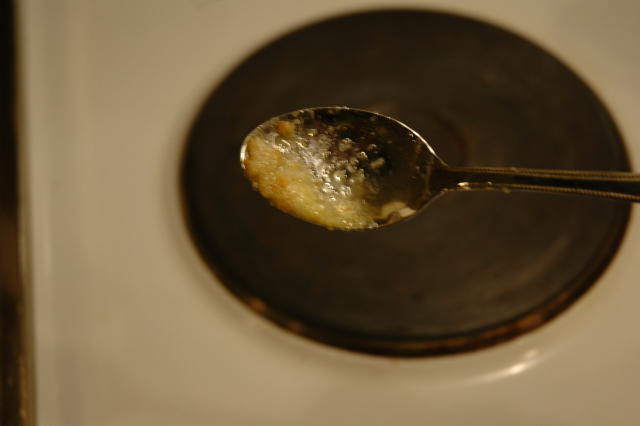 Remove the ghee from heat and skim off the remaining foam using a spoon. 6. 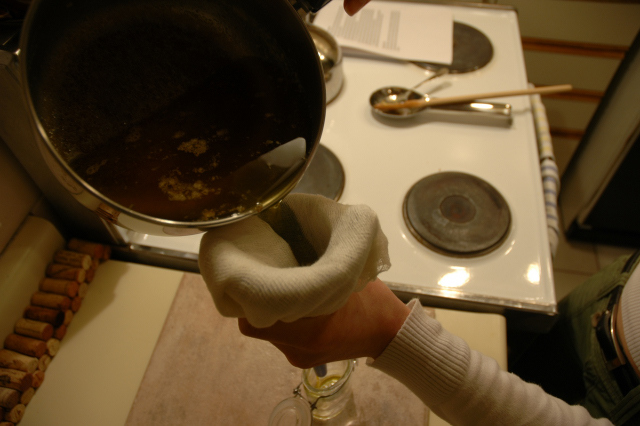 Filter the ghee into a clean glass jar through cheesecloth. I fold the cheesecloth so there are 4 layers. Sharma, H., & Clark, C. (1998). Contemporary Ayurveda. Philadelphia: Churchill Livingstone. Lad, V. D. (1998). The complete book of Ayurvedic home remedies. New York: Three Rivers Press. Aneja, R. P., & Murthi, T. N. (1991). Beneficial effects of ghee. Nature, 350, 280.